The Mnong or Munong (Vietnamese : Mơ-nông) is an ethnic group of 54 ethnic people groups in Vietnam. M’nong ethnic minority people live mostly in the Central Highlands provinces of Dak Lak, Dak Nong and Lam Dong, some in Binh Phuoc and Quang Nam provinces. The M’nong people raise cattle and poultry, even elephants. The local women are engaged in handicrafts weaving fabrics from cotton fibre while men make bamboo and rattan products like baskets and dossers. The M'nong language belongs to the Mon–Khmer language branch, Austroasiatic language family. M'nong people has many local groups such as: Mnông Gar, Mnông Nông, Mnông Chil, Mnông Kuênh, Mnông Rlâm, Mnông Preh, Mnông Prâng, Mnông Ðíp, Mnông Bhiêt, Mnông Sitô, Mnông Bu Ðâng, Mnông Bu Nor, Mnông Bu Ðêh..
M'Nong people live according to Buon (Village). Each Buon has many families with close neighboring and blood relations. The village chief is the most influential person. 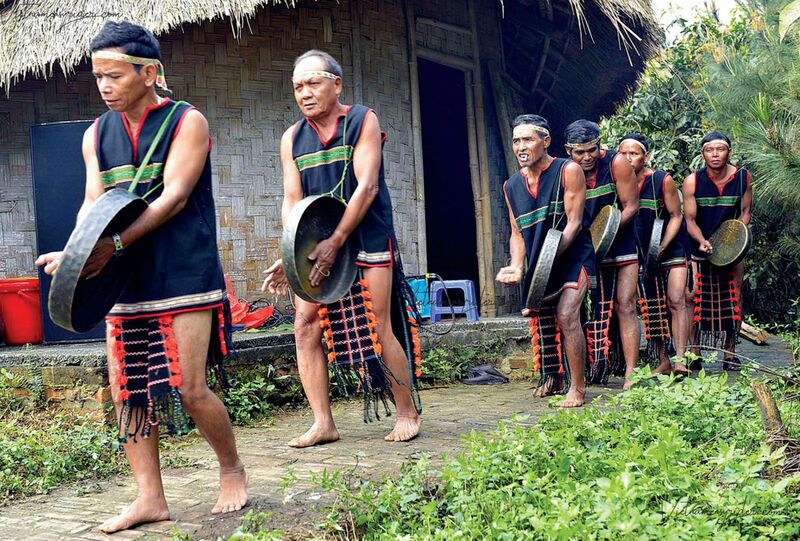 The daily life of local people is greatly influenced by their experiences and traditional customs. - M'nong Men: wear loincloth, sleeveless shirt or half-naked or wrap a cloth across the shoulder. Loincloth have patterns along the both edges of the fabric, two ends with long tassels. - At present, Mnong costumes have absorbed many Kinh People elements. Depending on the area and each local group, they can build the ground floor or the stilt house. The Mnong Gar, Mnông Preh, Mnông Prâng ... usually do the ground floor with the thatched roof near the ground. Mnông Kuenh, Mnông Chil, Mnông Bhiêt ... often do stilts house, not only for daily activities, but also to prevent the threat of nature (wild animals, floods ...). There are low and high stilts houses. 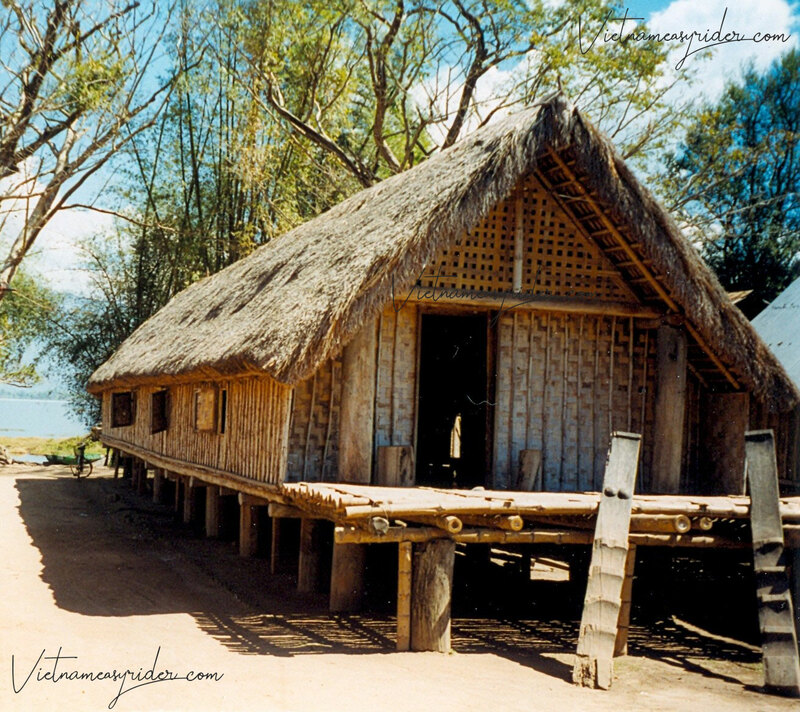 Particularly for the M'nông R'lâm group in the Lak lake area, has high stilt house architecture as the Ede people. M'nong house is usually made in the style of four roofs, the door to the house open at the left side of the porch. The stairs of the M'nong are divided into two types: male stairs - for men and female stairs are decorated more beautiful only for women. 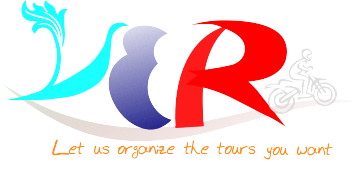 In the house, the patterns is decorated often take the form of rivers, butterflies, stone ... Items in daily life such as axes, gongs, wine jars ... also carved the very beautiful patterns. 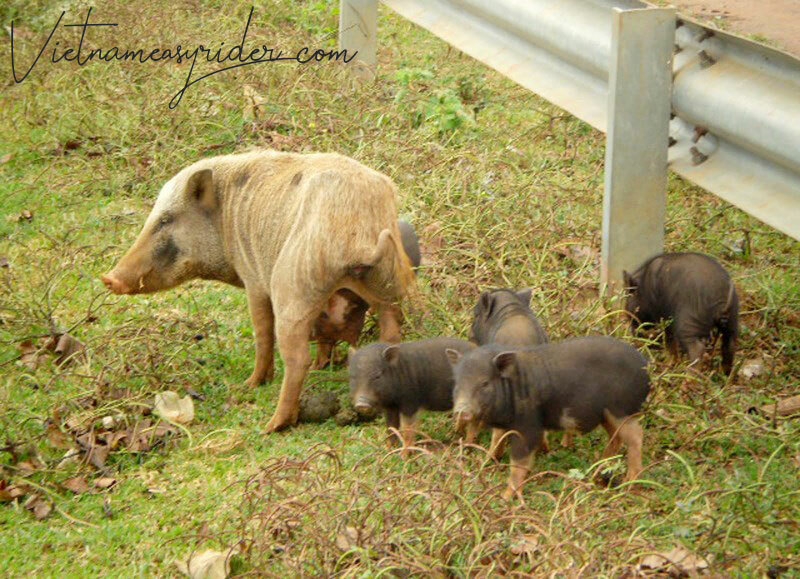 The M’nong adopt a matriarchal social system in which children are named after their mother’s family name. The woman has an important voice in the family ! Like many other ethnic minority groups in Vietnam, the M’nong celebrate their age-old cultural rituals and festivities and observe their regulations. Rituals of naming babies, praying for health, forging fraternal bonds, or celebrating bumper harvests, involve active community participation. They believe that genies are everywhere. The earth genie blesses the landowners; the kitchen genie keeps the fire and helps in cooking; the forest genie provides food; the genies of the mountain, spring, and waterfall maintain water sources; the agricultural genie makes bumper crops and fruitful trees; and the thunderbolt genie punishes bad people. 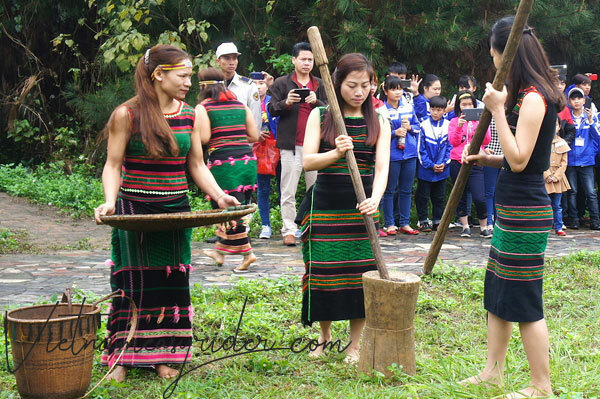 Traditionally after harvest, all M’Nong hamlets organize festivals to thank the genies and their ancestors for giving them baskets full of rice and cows and buffaloes. The festivals such as the wine festival and new rice, wedding, and maturity celebrations and worshiping of elephant show the identities of people living by wet rice planting, hunting, and gathering...still exists to nowaday. The M’Nong believe that after death one’s soul will maintain a connection with the living. The family will offer meals to the dead every day. After 3 to 5 years, the hamlet will hold a ceremony to see off the dead to another world. The ceremony consists of various activities such as beating gongs, singing, dancing, and performing folk games.